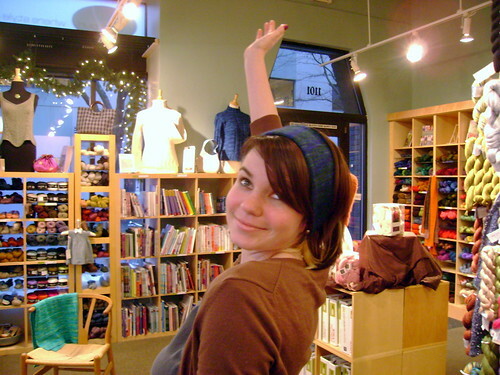 Lindsay: to cut wips by down 50%, and learn to knit Continental and to knit two socks at one time. 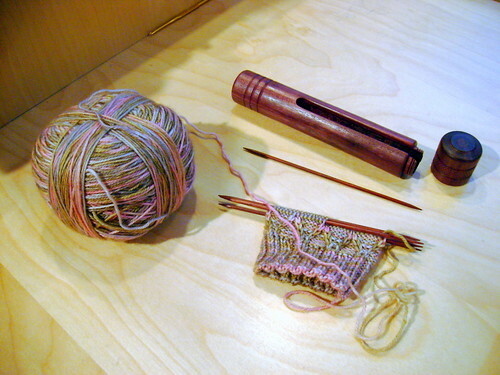 Marjorie: to learn to knit two socks at one time and how to knit lace. Mine: to master Fair Isle. Darcy: to finish her Habu sweater and learn to knit Fair Isle holding both yarns in one hand. Eva: to make her first sweater. 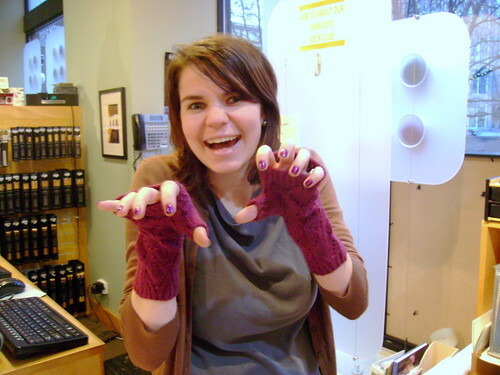 Jenny: to finish her boyfriend’s Christmas present (gloves); which, incidentally, is her first knitting project. Do you have a knitting New Year’s resolution? We’d love to hear it! We have collected 47lbs of clothing for Oregon Foster Care children! We’ll continue collecting through the 18th, too. So keep on bringing those handknits and hand-me-downs in. Questions about what to donate? See our Handknits for Hard Knock Kids post. We DID have Malabrigo Twist in stock… for about 5 minutes. I’m really sorry, blogfans, but it sold before I could get it on the web (or even photographed). And, before you complain, I swear we ordered two bags of every color. People just really like this yarn. But, don’t worry!, we have some scheduled to arrive next week and I SWEAR it will go up on the web and be featured in the Newsletter. We’re looking for a new Gratis Knits pattern and have decided to increase the gratuity to $100 in store credit. That’s right. Get your pattern up and in view of over 11,000 knitters and get a $100 gift card as an additional reward. See our updated Submission Guidelines (or the upcoming Newsletter) for more information! 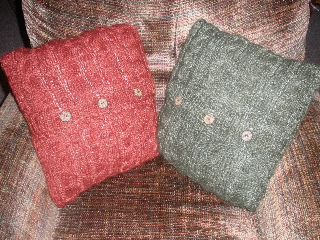 The pattern is the Cable & Twist Pillow from Interweave’s recently released Knitted Gifts. The yarn is (was) ShibuiKnits Merino Kid in Pagoda and Seaweed, held double to get the correct bulky gauge. Andrea also posted these lovelies on her ravelry journal, if you want more information about the project. Sometimes seriousness is way overrated. See our how silly we can be set on flickr if you need a quick giggle. That seems like everything, but I feel like I’m forgetting something. What could it be? Oh, wait. It might just be our upcoming KAL, the details of which are still under wraps. Check your inbox this Friday for an awesome Newsletter that will include some breathtakingly beautiful yarn, a limerick contest and a lot more! Until then, stay dry**, blogfans! *Don’t make me pull out the pointy stick, guys. **If you’re not in the PNW, maybe that should be “stay warm”! The post Brace yourself. appeared first on Knit Purl Blog.